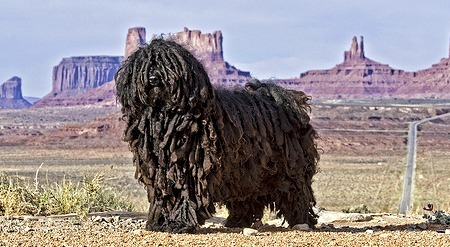 The Puli is known for its tight dreadlocks that make it look like a mop, but the dreads also stop it from shedding and make it waterproof. While no one knows exactly where pulis come from, there are indications that ancient Romans owned similar dogs and there is some evidence that shows the breed is over 6,000 years old. What is known is that they could be found in Asia over 2,000 years ago and were introduced into Hungary 1,000 years ago. The Hungarians quickly took to the animals, which made great sheepherders, along with a similar, but larger breed known as the Komondor. The two dogs would watch the sheep day and night, with the Puli serving as the lookout and the Komondor operating as the muscle necessary to stop wolves and other predators. The Pulis were so highly regarded during this period that it was not uncommon for a shepherd to pay a full year's salary just for one of the dogs. While the breed's dreadlocks grow naturally, owners still need to actively groom the dog, keeping the cords clean, neat and thin. The cords can grow long enough to reach the ground or they can be trimmed short. The dogs are very active and intelligent, requiring a lot of attention and exercise. 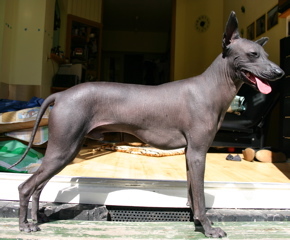 The Xoloitzcuintli (pronounced Sho-lo-eets-quint-lee , although it's sometimes called “Mexican hairless or just shortened to” Xolo”) is a hairless Mexican dog that is so primitive that it was actually worshiped by the Aztecs. According to the mythology, the god Xolotl made the dogs from a sliver of the Bone of Life, which was also used to create all of mankind. Xolotl gave the dog to man, asking him to guard it with his life. In exchange, the dog would guide man through the world of death. Because the breed is not well-known in the US, the Xolo has been mistaken for the mythological Chupacabra in US border states such as Arizona and Texas. The Xolos are mellow and loyal dogs once they reach adulthood, but up until they become emotionally mature at age two, they are still highly noisy, chewy and high-energy. The breed was not inbred like many other purebred animals, so they are incredibly healthy, but they do require moisturizer, sunscreen and baths to prevent sunburn, acne and blackheads. While they may be called orchids, these pups are 100% dog. 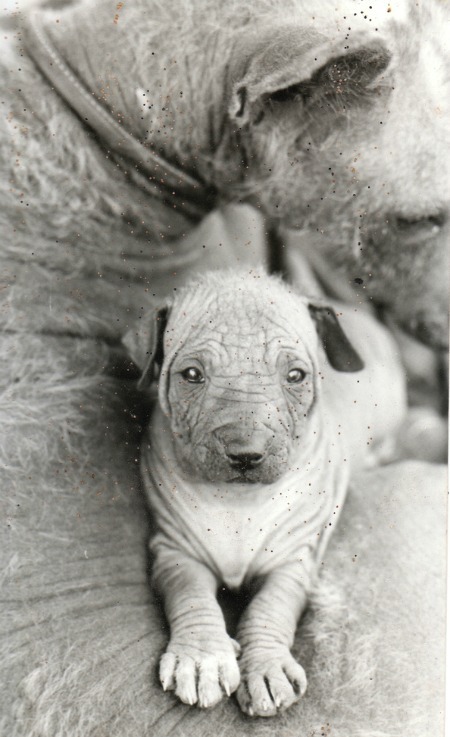 In many ways, they are like the Xolos, an ancient hairless breed. Like their Northern neighbor breed, these pups were worshiped by another ancient civilization, this time, the Incas, but the breed is actually a lot older than the Incan culture. Pictures of the breed appeared in Peruvian artwork from as far back as 750 A.D.
Peruvian folklore, much of which is based on Incan stories, says that hugging the dogs can help with medicinal problems, particularly stomach problems. Sadly, the animals were almost ran out of existence after the Spanish conquest of Peru. Small villages in rural areas are all that kept the breed alive and more recently, Peruvian breeders worked to protect the remaining Inca Orchids, ensuring significant bloodline diversity. These pups make great dogs, but they can be a little headstrong and require proper training from a young age. They also need lotion and lots of baths to prevent sunburn, acne and dry skin, and they do very poorly in warm weather. 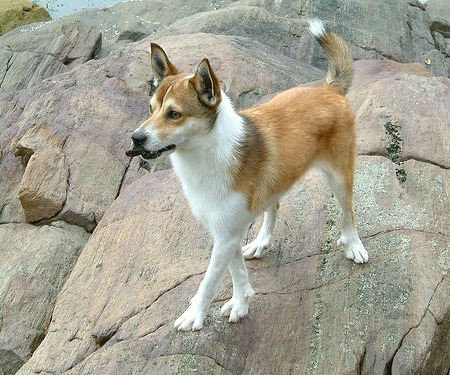 The Lundehund has some amazing features that make it physically unlike any other breed. One of its more distinct characteristics is the fact that it has six toes on each foot. It also has unique shoulder and neck joints that allow it to stretch its legs out straight in both directions and to reach its forehead all the way to its back. It also can close its ear canal at will to prevent dirt and water from getting in. All of this makes the Lundehund an amazing avian hunter in its native country, as it is an agile swimmer and a great climber on near-vertical cliffs and steep crevices. The dogs were originally trained to hunt puffins, all the way back in the 1600s, but after the practice died out, the breed almost went extinct. By the 1900s, the only small population survived in the small village of Monstad. In 1963, there were only 6 of the dogs alive and thanks to the care and effort of a few dedicated breeders, there are now at least 1500 of the dogs alive. While the animals have been carefully bred to protect their bloodline, there is still a serious problem with genetic bottlenecking in the breed. For this reason, all of the existing dogs are subject to a disease known as Lundehund gastroenteropathy that can prevent the dogs from being able to derive nutrients and protein from their food. These poor pups have a bad rep as far as cuteness goes. 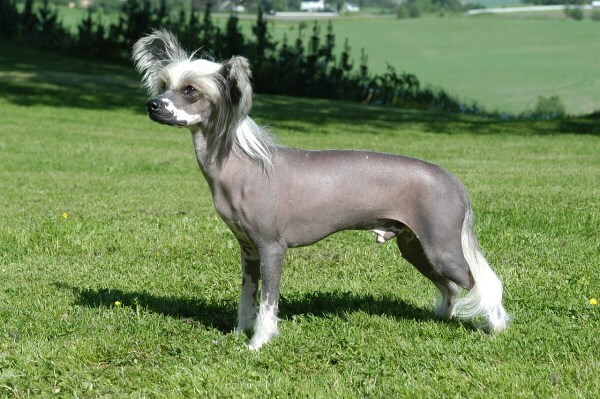 Personally, I think they're so ugly they're cute, but you can't argue with the fact that 6 of the last 10 World's Ugliest Dog Contests were Chinese Crested. As it turns out, the dogs aren't always born without fur, there are actually two varieties of the dogs, one has hair and one doesn't. Both can even be born in the same litter. The version with hair is known as the “powderpuff” variety. Strangely, the hairless variety can have a full coat of hair if the gene that causes hairlessness isn't expressed as strongly. When this occurs, it can actually be hard to tell the two varieties apart, but the hairless variety only has a single coat and the powderpuff has two. Another strange difference between the two is that the hairless dogs often lack a full set of premolar teeth. It's worth noting that Chinese Cresteds aren't even from China. While no one is certain of where the dog comes from, many suspect it originated in Africa, but there is also some evidence showing that it shares some of its breed history with the Xolo. This dog doesn't look too out of the ordinary, but what makes it unique lies not in its physical appearance, but its DNA. 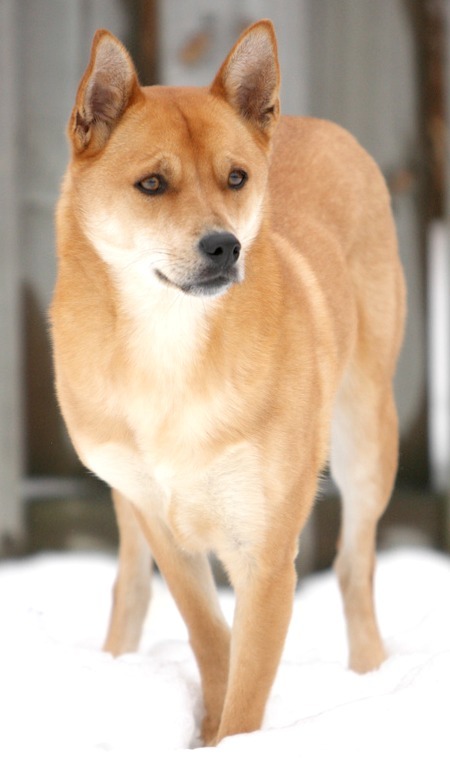 As it turns out, the Carolina Dog may be the oldest canine species in North America, appearing in rock paintings by early Native Americans. They also share DNA with Australian Dingos and New Guinea Singing Dogs. They are still relatively primitive animals, subject to social hierarchy problems between their owners and are not recommended for first-time dog owners. These pups aren't just unique because they have a cool name, they also are amazing hunters and are even able to climb trees to chase prey. The dogs are believed to be one of the longest surviving breeds in all of North America and were prized by Native Americans for their amazing hunting abilities. 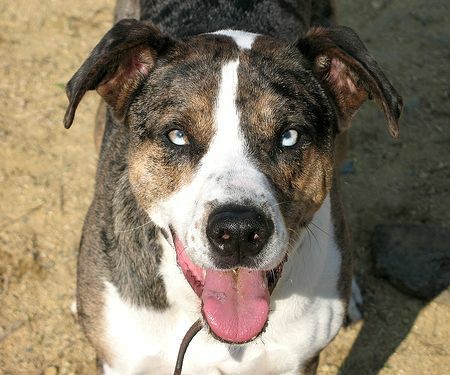 The breed's name comes from the Catahoula Parish of Louisiana, where the breed originated. Since then, many famous hunters have owned Catahoulas, including Jim Bowie and Teddy Roosevelt. As a working dog, they are known for having a lot of energy, but if properly exercised, these loyal dogs can be easy to train for herding, police work, or even to do tricks for their family's pleasure. Fans of the harry Potter movies might recognize the massive mongrels as Hagrid's pet, Fang. While they aren't quite as massive as the one in the movie was made to appear, the dogs are incredibly large, standing over two and a half feet tall at the shoulder and weighing up to 150 pounds. Historically, the breed is said to have fought beside the Roman Legions, wearing bladed spiked leather harnesses so they could run under the bellies of enemy horses and disembowel them. 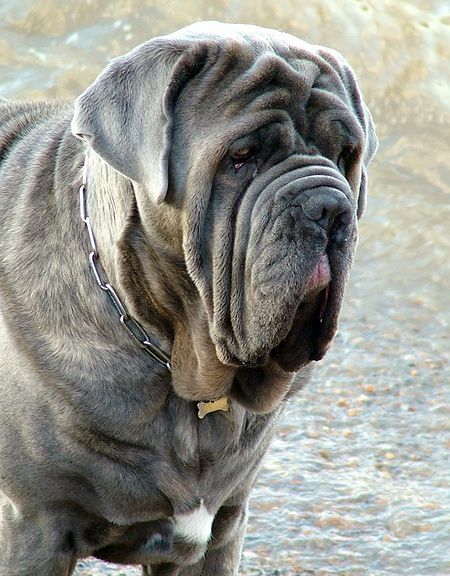 Sadly, despite their long breed history, they were almost extinct after WWII, but shortly after, an Italian painter set up a kennel to protect the breed by mixing the remaining Neapolitan Mastiffs with a few English Mastiffs to help diversify the bloodline. The dogs are great pets, but are extremely protective of their families and need socialization from a young age in order to ensure they are not aggressive against strangers. They will rarely bark unless provoked and as a result, they are renowned for their stealth when attacking intruders.